The fact that Hannelore has been living with the effects of polio since her first year of life has never prevented her from swimming. With the Aqualine orthosis system, she moves about safely and freely at the swimming pool and in the non-swimmers' pool. With the C-Brace orthotronic mobility system, Christin can take her dogs for a walk and hike and enjoy her new fredom and mobility. Going to motor shows or playing with his children – there is a great deal Del wants to try and experience. But anterior spinal artery syndrome made it difficult for the former mechanic to walk. His everyday life was changed by the C-Brace® orthotronic mobility system. Karin contracted polio when she was six months old. She was left with post-polio syndrome and paralysis in her right leg. Yet she refused to let that slow her down, even as a child. 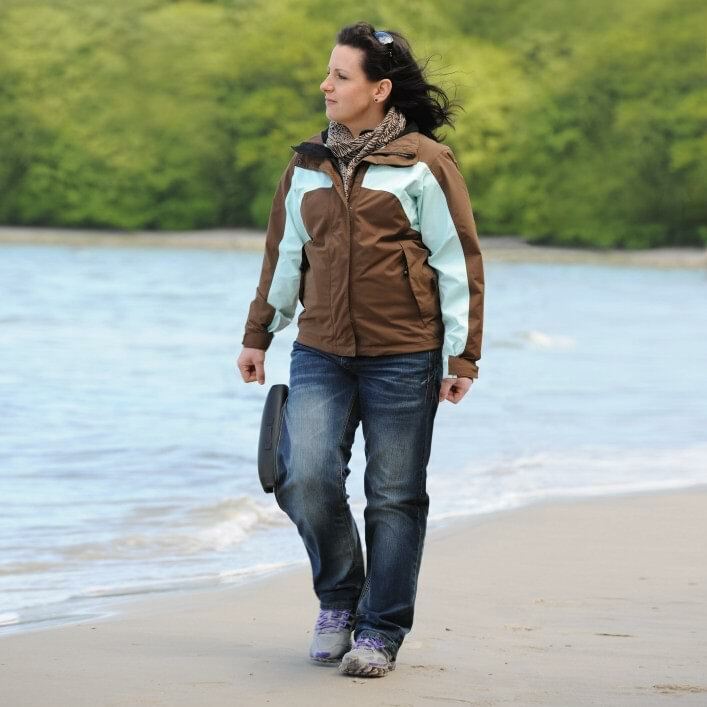 Today Karin wears the C-Brace® orthotronic mobility system. At home or travelling: Even with paralysis in both legs, Lucia is a bundle of energy. 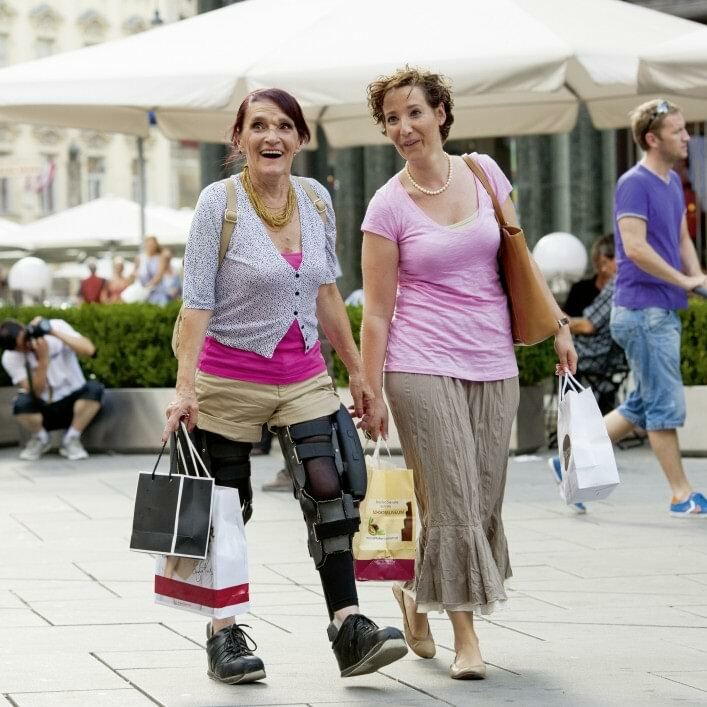 With the C-Brace® orthotronic mobility system, she moves much more naturally and safely than before. Peter depends on the E-MAG Active orthosis to keep up with his grandchildren and stay active with his wife. With the Genu Arexa, Anna is better equipped to maintain her active lifestyle and keep up with her four-year old son. Being outside, no matter what the weather – Astrid would never want to give that up. But knee pain recently made it difficult for her to go walking and hiking. 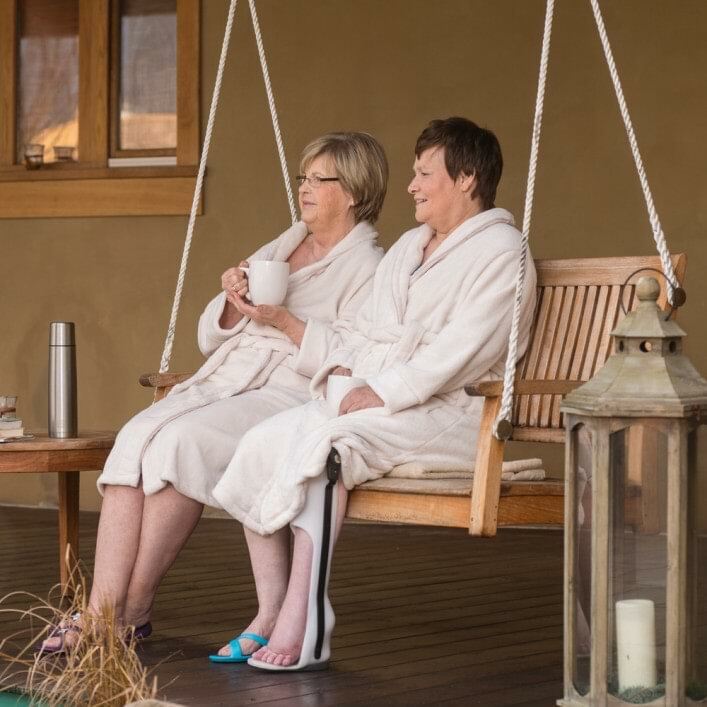 Since she started wearing the Genu Sensa, Astrid has been out and about every day again, even with osteoarthritis. Jana tore her lateral ligament while playing volleyball and had to take a break from the sport. Since going back to competitive sport Jana supports her foot by wearing the Malleo TriStep. The WalkOn ankle brace supports Juergen by limiting stumbling as he walks. From standing at work to walking the god, the WalkOn helps Juergen in his everyday life. Since being in a serious traffic accident, Henning has been dependent on an brace and wears the WalkOn Reaction. His motto: nothing is impossible. Climbing was always Julia's passion. But when she fell, she injured her cruciate ligament. 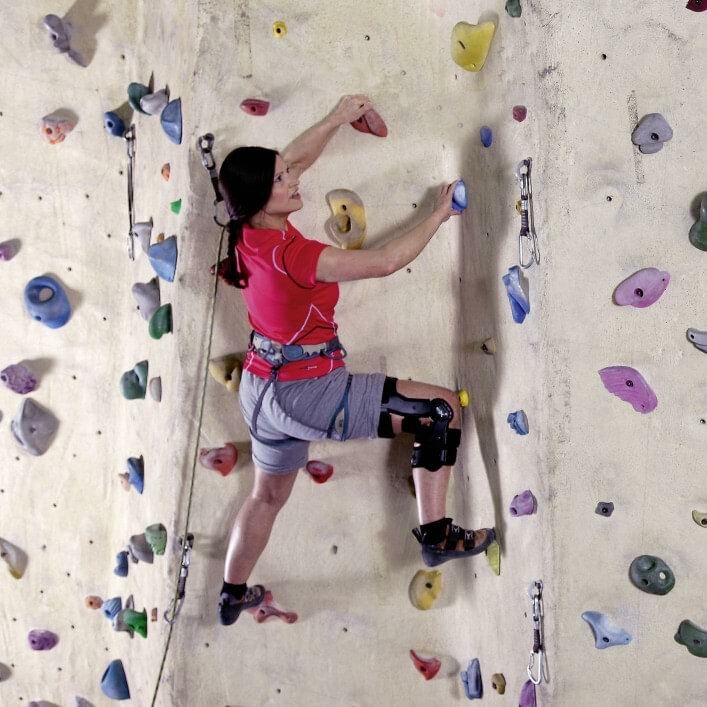 One year after the accident, she is back to the climbing wall and wears the Xeleton rigid-frame knee brace.